If you love video games and have a passion for the hottest games, you might dream of finding a job as a video game tester. These are the men and women who play games from various developers and manufacturers and ensure that those games are free from bugs or glitches. While you might think that this is one of the easiest jobs out there, it does require some specific skills, and you’ll likely face competition from other gamers. Make sure that you know what the testers do and the skills you need before looking for an open position. Jeff Roper worked as the head of quality assurance for Call of Duty: Modern Warfare 3 and other hot games, and he sees a large number of people applying for quality assurance and testing positions without realizing the difficulties of the job. Roper points out that testers will often play the same game for months at a time or go over the same level several times every day for a week. If you think that the job will be as fun as playing games in your living room or bedroom, think again. 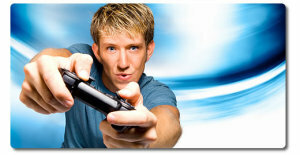 The chances of finding a job as a video game tester without any experience is next to impossible. Gamers have their own language and slang that you can only pick up when you play those games yourself. In addition to playing on your favorite console, you’ll also want to have some experience playing with consoles from the three biggest companies: Sony, Microsoft and Nintendo. You might spend months working on a game for the Wii U before working on that same game on another platform. Testers often spend long hours working on a new game. Instead of playing the game for fun, you’ll play the game and take note of any glitches or bugs that interfere with your performance. You’ll also check the game for accuracy, plot holes and other issues that might distract those who buy the game later. Testers often need strong critical thinking skills that help them decide what to look out for and how to record the issues they find. As some companies hire testers to work from home, you’ll also need strong organizational skills and the ability to budget your time wisely. Companies also want to know that you can work on your own with minimal supervision. If you think that you have what it takes to make it as a gamer, you can start applying for jobs. Most of the quality assurance and testing jobs today are in the larger cities and in areas with a large number of studios and production houses. You may also find some companies willing to let you work from home, but those employers will require that you sign a nondisclosure agreement that prohibits you from talking about the work that you do. A number of online job boards online list testing jobs every week. Game testers do more than just play video games. They ensure that the game plays well and that others will be happy with the finished product. Becoming a video game tester requires that you have experience playing games on all the major platforms, that you can work independently and that you posses strong critical thinking skills.